You hear all the time that to lose weight properly, you should track what you eat. Personally, as someone who has lost and maintained that loss of over 100 pounds, I will say that daily food and fitness tracking is one of the top three things that keeps me on point and directed to my goal. More than just tracking food intake, I track my sleep, mentality, fitness and water. At the end of the week I can compare and contrast a good week from a bad week using all of those factors. In a study from from Kaiser Permanente’s Center Health Research. 1,685 overweight and obese adults (men and women), whose average weight was 212 pounds, participated in a study that encouraged them to plan their eating, reduce calories, eat clean and record their daily food intake and fitness routines. After 20 weeks, the average weight loss was 13 pounds per person. But researchers discovered something else; the more participants recorded what they ate, the more weight they lost in the end. Those who did not actively food track lost an average only 9 lbs., and those who did lost an average of 18 lbs. By tracking your food, you become more accountable to your own actions. If you know you’re going to have to record that candy bar on your food tracker, you might think twice about eating it. Tracking your food allows you to also be aware of what’s in the food you are preparing. Having the mindset that you eat healthy doesn’t always add up to your true actions. What is in your food? How is it affecting your body? Do your choices align with your goals? Your health goals success is directly in line with your actions. This isn’t news to the millions of people who have lost weight in a healthy manner by tracking their food and fitness. Choose what works for you! Paper tracking versus utilizing an app or website. Do whichever works best for you, and most importantly that you will be honest with. Decide to commit to cleaning up your act with eating and make goals for yourself. If you aren’t ready to commit fully, start small! Make a water goal for the week (with that comes giving up sugary fat-filled coffee drinks, soda, and juice), choose to aim to eat every 2-3 hours (starting with breakfast under 60 minutes from waking up), and try your best to fuel your body right! It is simple. It requires priorities but ultimately leads to meeting your goals. 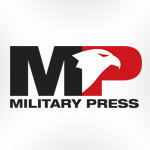 I really love writing for The Military Press! Plus sharing all the other amazing articles posted! It is a great community. If you read any of my articles feel free to contact me for any further support!